We all have the problem while showering or taking a bath where the whole room steams up. The shower mirror, window, and even tiles, have condensed water streaming down and trying to take a look at yourself (in the mirror of course), just is not going to happen! Well, a bathroom vent fan is usually the answer. But then, what type of fan should you buy? Take a quick look at some of the bathroom fans we have reviewed. It might just give you a clue as to the best bathroom fan for your bathroom. Best Bathroom Fan on the Market: Our Top Picks! 1 Best Bathroom Fan on the Market: Our Top Picks! 3 What are the benefits of a bathroom fan? 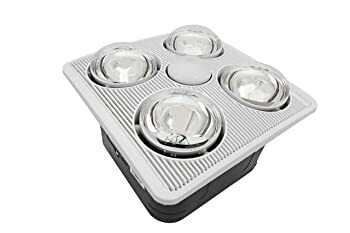 5 What is the best way to use this product? 6 Are bathroom vents safe? 7 What are the prerequisites necessary for using this product? Panasonic has a variety of bathroom fans, although their features may differ. You get to choose those that have dual (or more) functions, including light, heater, or fan combination. We reviewed the WhisperWarm 110 CFM Bathroom Fan/Heat/Light Combination. 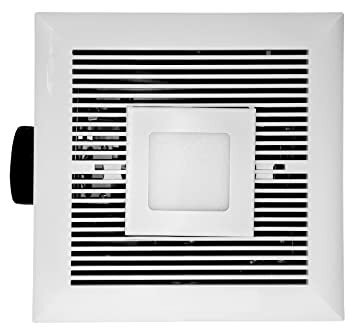 Not only does this product keep your bathroom warm, but is one of the best bathroom exhaust fans around. This means you get the advantage of a heated bathroom with stale air extraction included. This is great for getting rid of steam. Add to this the light bulb that doubles up as a night light, and you have a sure winner. Broan offers a wide variety of bathroom fans, including different function combinations. 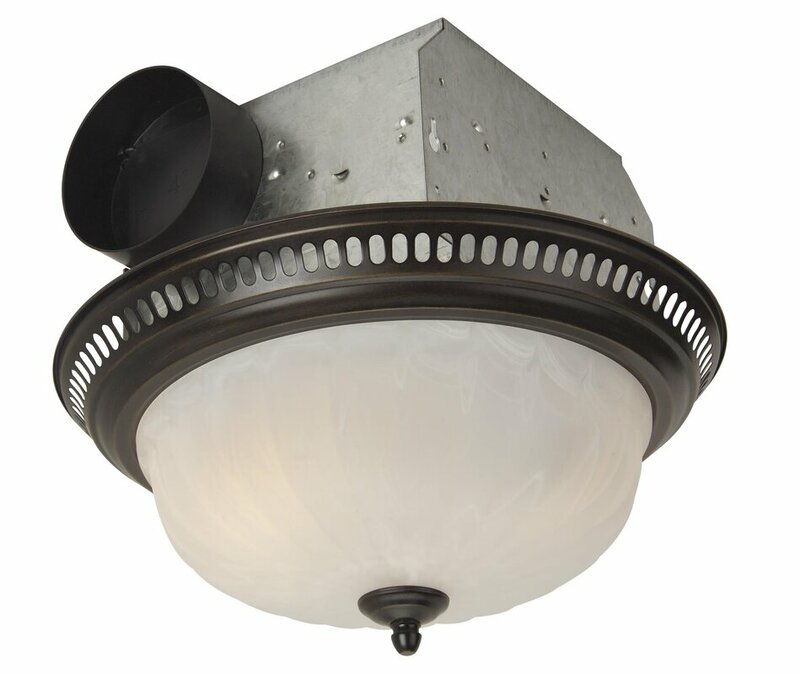 Their fans also come in a vast array of styles, ranging from the more traditional square, to round, and more. A ceiling fan does not necessarily have to look like a ceiling fan! It can become part of your bathroom’s décor! We reviewed the 110 CFM Energy Star Bathroom Fan with Light. It is a more traditional fan and includes a light/nightlight and a powerful motor unit. The fact that it is powder coated means this product is water, rust, heat, and mildew resistant for many years and is available in a number of different finishes. The Aero Pure brand has a variety of some of the best bathroom ceiling fans, catering for all tastes and needs. They are sure to have one that fits your style and needs. We reviewed the SlimFit 90 CFM Bathroom Fan with Light. Elegant and efficient, this unit is not only quiet, but practical and energy efficient as well. This product is the ideal solution for those who want a dual function fan, providing great lighting and ventilation at the same time. Definitely a contender for the title of bathroom vent fan! A number of decorating options and styles makes for some of bathroom vents on the market. We reviewed the Ventilation 70 CFM Bathroom Fan with Heater and were impressed with what we found. It provides powerful ventilation while the bulb heater gives great warmth. Backdrafts are eliminated by means of efficient blower wheels and polymeric backdrafts that eliminate any mechanical noise. What is more, this product heats up an area of up to 65 square feet. If traditional is your idea of the best bathroom fan around, then Delta Breeze Bathroom Fans is your brand. These fans are sturdy, compact, and designed to fulfill their purpose well. We reviewed the BreezGreenBuilder 80 CFM Energy Star Bathroom Fan. Easy to install, the product is suitable for ceiling mounting, while the grille attaches to the housing directly by means of torsion springs. If designer style is your thing, Craftmade has some of the best bathroom ventilation fans around. These fans are for the discerning homeowner who believes that bathroom décor needs to be a continuation of their home. We reviewed the Decorative Designer Bath Fan with Light in Oil Rubbed Bronze and found it to be perfect for a home of distinction. 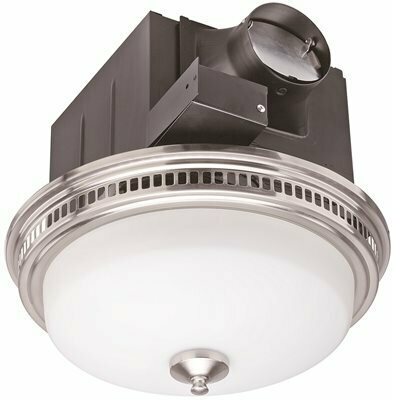 A fan that does not look like a fan but like an elegant light fixture sporting a decorative, flush mount ceiling light that is a vent in disguise! Combine this with a beautiful finish and style, and your bathroom is a room of which you can be proud. This brand stocks bathroom fans ranging from modern to a touch of art deco. They cater for those who prefer simple and stylish to retro. We reviewed the Halcyon 90 CFM Bathroom Fan and were impressed by its look, design, style, and function. 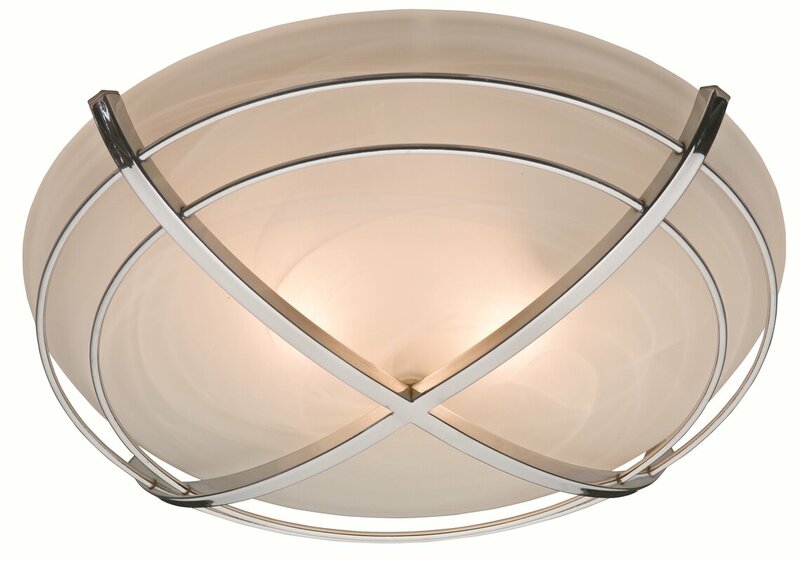 Decorative with contemporary features in a cast chrome design, the light fitting is of swirled marble glass. Superior air movement removes excess water, suppressing the growth of mold making this one of the best bathroom exhaust fan around. Simplicity and functionality seem to be this brand’s trademark when it comes to looking for the best bathroom vent. Our product of choice when it comes to a review for this brand is the 110 CFM Bathroom Fan with Light. 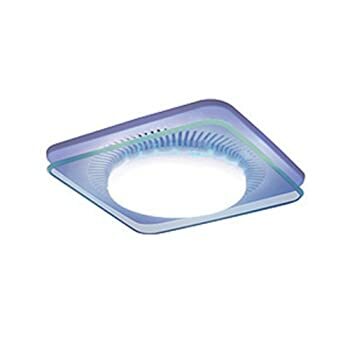 The round, domed shape makes this a good option when looking for the best bathroom fan with light. A simple, stylish design with a chrome surround finish hiding the exhaust fan makes for a beautiful yet functional bathroom addition. Simplicity is the ultimate in a bathroom ceiling fan when it comes to this brand. Nothing fancy, but something that gets the job done, and done well! We reviewed the 120 CFM Bathroom Fan With LED Light. It is an excellent option in any bathroom environment, and great for installing over a soaking tub or walk-in tub. The plain, square design focusses on functionality. If you are looking for top of the range and heavy duty, do take a look at this brand. The strong, quiet suction action is silent, for all intents and purposes, and while not installed as a single unit, you can easily choose a design that allows for use in more than one room at a time. We reviewed the Fantech PB370-2 Inline Exhaust Fan. This is a traditional style fan that comes in a dual grille fan kit that includes everything you need for installation, i.e. 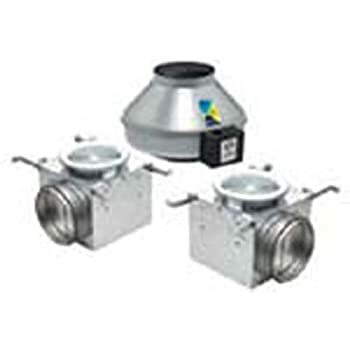 a 360 CFM fan, two eight-inch square grille housings with damper and Y medal adaptor designed for use with six-inch duct between the grills and the fan. Choosing the right bathroom ceiling fan might not be as difficult as you think if you keep just a few things in mind. Whether you want something just to vent your shower enclosure or your whole bathroom, the options are out there. 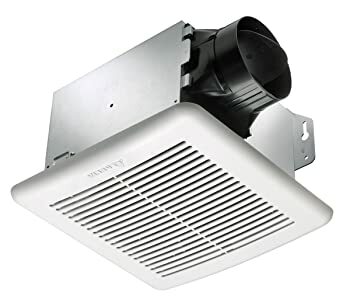 At first, you may think that all bathroom ventilation fans are the same, and do the same job. You would, however, be mistaken. There are differences. These include the aesthetics, as well as function. So what are the things you need to consider? You need to determine the size of fan you need. This depends on the size of your bathroom. Do you want a brand new installation, or do you just want to upgrade your existing extraction fan? Is energy efficiency a factor that will influence your choice? Do you want a fan that is silent, or do you not mind some background noise? Is your choice easy to install, or do you need specialized help in doing so? Do you want extra features, such as a light or heating? Once you have these questions sorted out in your mind, you can start choosing what you want by eliminating what you don’t want or need. What are the benefits of a bathroom fan? Your bathroom is the most humid room in your house. Every time you take a bath or a shower, things tend to fog up and precipitation forms on the walls, windows, shower enclosure, and of course, the tiling. The end result is mold formation that is difficult to get rid of. So how does installing a fan in the bathroom benefit you? You no longer get out of your shower or bath and look into a foggy mirror! You can actually see yourself. Although you might not think it is a big deal, just think of all the times you have tried to clear that mirror just to see your reflection in order to shave or put on your makeup! Mold loves to form in warm, humid conditions, and your bathroom is the perfect place for that. But not only is mold unsightly and difficult to clean, but it can cause illnesses, such as asthma and other respiratory problems. So next time you start sneezing, have itchy eyes, or even a scratchy throat, consider the fact that the mold in your home may be the problem! Although all bathrooms fans have one thing in common, i.e. removing moisture and odors from your bathroom, there are different types of fans. The best bathroom fan vent for you may therefore not be the best option for your neighbor! But what are the different options, exactly? Let’s take a quick look at the different types, to give you a clearer picture. These fans are very quiet because they are not mounted into the ceiling. Instead, they are mounted in between your ducting in areas you want ventilation but where you don’t have the space for a ceiling mounted fan. This type of fan is mounted on an outside wall. This means that you need no ductwork, and bad air is immediately expelled to the outside. These are probably the most popular of all types of fans. They are mounted directly in the ceiling, and expel air through the roof. If, however, it is connected to ducting, air is usually expelled through an external vent. These fans have a number of features, such as heating, lighting, and air extraction combinations. They also cater to current decorating trends, with a large variety to choose from. Once installed, there are a number of things you need to keep in mind to ensure you get the best out of your bathroom ventilation fan. The only time bathroom vents pose a hazard is when the electrical wiring is faulty (it is a good idea to let a qualified professional do the wiring work or check on an old installation), or when the fan itself is not well-maintained. With time, lint tends to build up on the fan, posing a fire hazard. You should, therefore, make sure you clean the fan regularly. A few blasts with canned air usually does the trick. It is also unwise to allow the fan to run day in and day out. Twenty minutes after a bath or shower is fine, and takes care of any possible damp problems that may arise. Constant use eventually works out the ball bearings, which could cause the unit to overheat and pose a fire hazard. By taking proper care of your bathroom fan, however, you not only extend its life, but ensure that all safety precautions are met. The bonus of having such a unit, however, is that it not only gets rid of the fog and condensation issue, but looks after you and your family’s health. To add to this, high moisture levels in a room damage paintwork, wallboard, and trim. Replacing or repairing these can cost a lot of money. The question is thus: can you afford not to have one installed? What are the prerequisites necessary for using this product? The prerequisites start with your choice of fan. It needs to be able to handle the job you install it for. In other words, you need to ensure your fan suits the size of the bathroom and its requirements. If your home has an older model, it is a good idea to have a professional check out the electrical wiring and installation. If installing a new model, ensure the wiring is correct and any ducting is installed up to standard. Furthermore, take care of your installation as has been mentioned. So you thought there was no such thing as the best bathroom fan, right? That any old fan would do the trick? 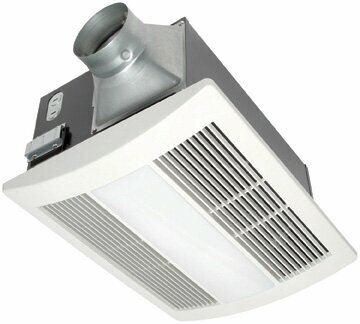 It is not so simple when it comes to choosing the best bathroom vent fan for your specific needs, is it? Besides the bathroom size that plays a role, things like personal choice and preferences also come in to play. This might take some discussion with your significant other, as they might feel a combination fan is the way to guy while you may be more old school and just want a standard extraction fan. That argument we leave up to you. 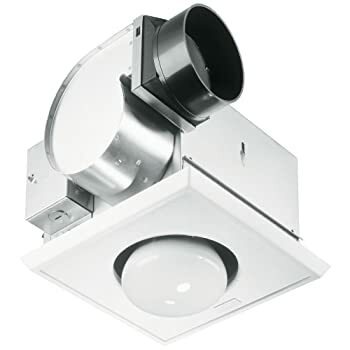 As far as our choice for the best bathroom ceiling fan goes, we like the Fantech PB370-2 Inline Exhaust Fan. It is functional, state of the art, and traditional, with the added bonus of having the strength of servicing two rooms at the same time. Although high in costs as compared to many other fans reviewed, we feel that the fact that you are getting two rooms ventilated for the price of a single installation makes it well worth the price.